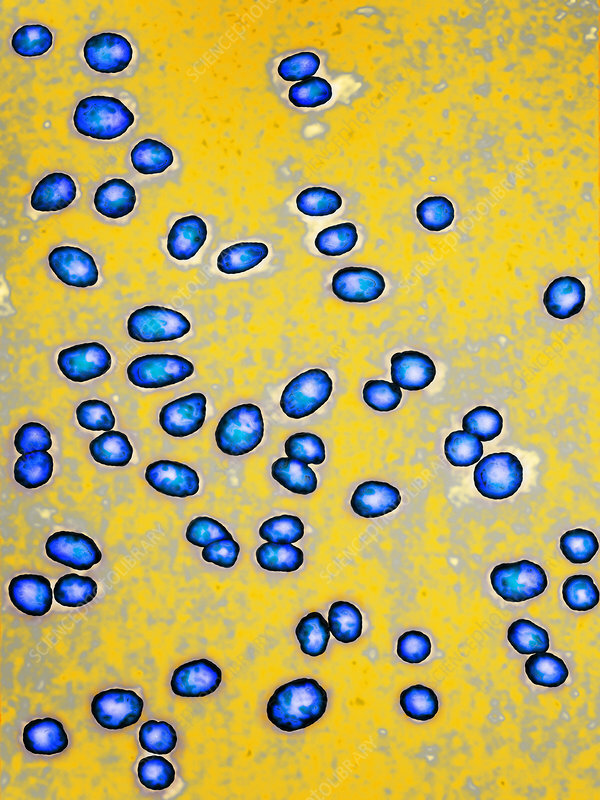 Colorized light micrograph showing Gonococcus (Neisseria gonorrhoeae) bacteria. This is the bacteria responsible for gonorrhoea, which causes acute and purulent urethritis (clap) in men, and in women causes urethritis, bartholinitis, cervicitis, and salpingitis. Image colorization and HDRI treatments on optical microscopy; magnification: X1850.